Week 6 has arrived and with it a rather unique twist on the traditional scavenger hunt challenge. Rather, than just giving us the typical checklist of items to find (e.g. find 7 speed cameras or 10 rubber duckies), they’ve combined it with the multi-stage set-up as well. This invariably leads to a more structured – but varied – style of scavenger hunt. Therefore, this guide will be delivered in a step-by-step fashion, rather than a laundry list of locations and screenshots. The general rules for this hunt aren’t specific. 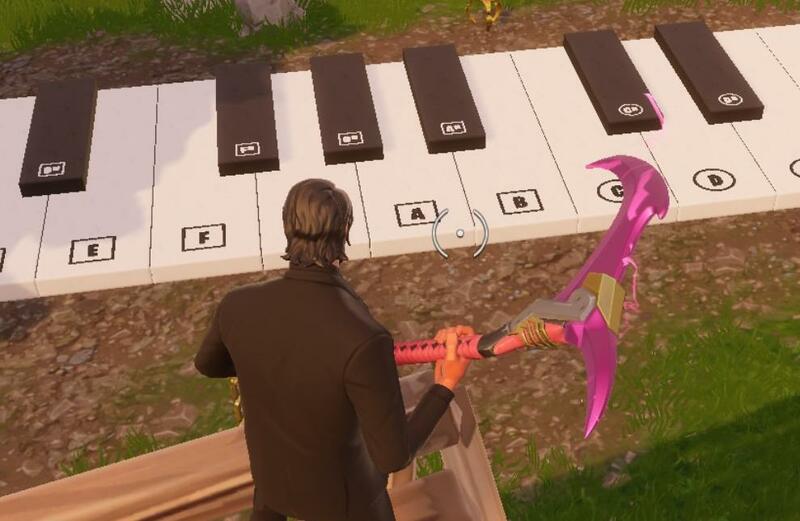 You’re asked to find some sheet music at a specified location (Pleasant Park and Retail Row), then play that sheet music on a large set of piano keys on the floor that’s in the same general region (near Pleasant Park and Retail Row again). You don’t need to memorise the sheet music as once you collect it in the previous stage, it will be placed on a stand in front of the piano keys for you to read from as you play. Below is a map with the four areas of interested circled. The sheet music is circled in red and the piano locations are circled in blue. The order of the challenge always goes: Pleasant Park sheet music > Pleasant Park piano > Retail Row sheet music > Retail Row piano. As the map demonstrates, the first two stages are in Pleasant Park, in very close proximity. The same holds true for the next two stages where you’ll find the sheet music very close to the intended piano. The sheet music in Pleasant Park is located in the central northernmost house. Put differently, out of the three house located on the northedge of Pleasant Park, the sheet music lies on the ground floor of the centre most house. Located at C3 on the main map’s grid. There is a large hill directly west of Pleasant Park, the piano keys reside at the top of this hill. You’ll find it at the intersecting points of B3 and C3 on the main map’s grid. I can’t read sheet music (I am musically inept and tone deaf), however this was fairly straightforward. Step onto the keys in order of C>E>G>E>C. There is no multiples of each key and you don’t need to jump to each one. Simply stepping off and onto the next one at a decent pace is enough. On the west end of Retail Row is the shopping district of the location (where it presumably gets the namesake). One of the central west shops has a bunch of bookcases (reminiscent of a bookstore) in it. You will find the sheet music on the ground floor of this shop, between some bookcases. H6 on the main map’s grid. To the southwest of Retail Row and to the west of the nearby corrupted area is a hill with a house on it. You’ll find a much larger arrangement of piano keys here. You’ll find it at I6 on the main map’s grid. This one was a little bit more difficult as there are a lot more keys than last time and duplicates of each. The difference this time however, is some keys are contained within a square and some in a circle. The sheet music wants you to press the A>E>F>A>E>C (the first six) keys contained within the circle and then finish but with an A key contained within a square. This essentially means the first six inputs will use the right side of the piano and the final input will be on the left side of the piano. That’s all there is to it for this challenge. 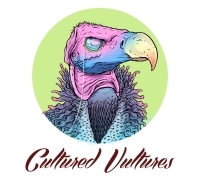 Rather quick as far as scavenger hunts goes, but quite unique combining two different styles of challenges together to create a structure series of events. As per usual we have our standard weekly overview for the challenges, this time with our Fortnite Season 6 Week 6 challenges walkthrough. Has a crippling addiction to caffeine and harbours a great contempt for word limits. The Fortnite Season 8 Week 8 challenges are finally here, and have some of the most interesting challenges in quite some time.